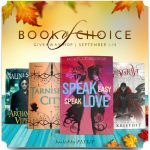 Bugs & Hisses Giveaway Hop – Escape Reality, Read Fiction! 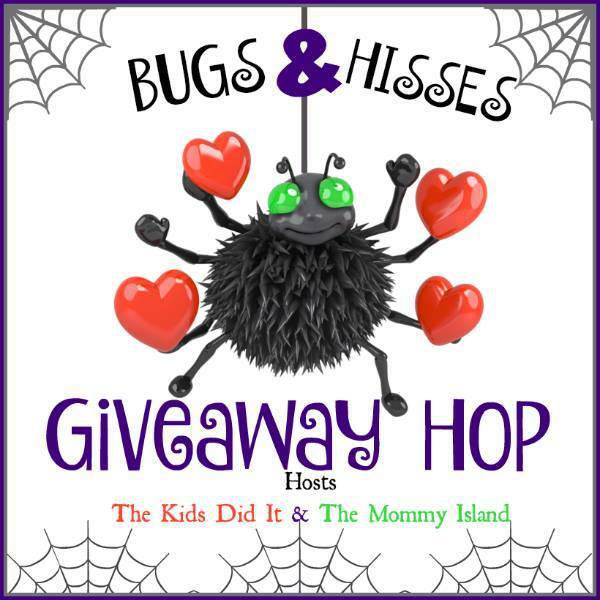 Welcome to the Bugs & Hisses Giveaway Hop, hosted by The Kids Did It and The Mommy Island. Speaking of bugs, however, our new kitten Freddie has taken to chasing invisible flies. Or fleas. Or leaping into the air for no good reason whatsoever. It’s been a long time since we had a very young cat, and we’d forgotten how funny, and occasionally destructive, a cat with the zoomies can be. He’s adorable. And we’re moving the breakables to higher shelves. It’s definitely Fall now, even here in Atlanta. And now that October has begun we’re starting to see Halloween decorations sprout on people’s lawns. That is, if hay bales and scarecrows actually sprout. Although speaking of sprouting, the stores are starting to bring out their Halloween candy. Temptation, thy name is Hershey. At least for me. Speaking of temptation, I’m always tempted by a good book. (I have one burning a virtual hole in my iPad as we speak). 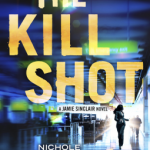 So I’m offering the temptation of a $10 Gift Card or $10 Book to one lucky winner for my stop on the Bugs & Hisses Giveaway Hop. And for more fabulous Halloween prizes, be sure to visit the other stops on the hop! Butterfingers tempt me. 😉 Thanks for the giveaway. Snickers definitely tempt me the most! i have to say Baby Ruths!! Those cute black/orange wrapped pb kisses tempt me. I would like to eat one piece every day year round for this candy. I am hoping someone will have a giveaway for a case of them.! Hey congrats, you are the first blogger (#12) that actually has this giveaway up and running. I can’t pass up an almond joy bar! Those candy corn pumpkins are my favorite! I love candy corn, surprisingly. But I also love things like skittles and starbursts! The Reeses pumpkins tempt me the most every Halloween! I love candy corn and steal all of them from my grandkids bags. Mini Milkyway bars – I love them :). The candy corn is my down fall at Halloween! Reese’s Peanut Butter Cups! It’s better if I don’t even buy them. I am tempted by the Reese’s Pumpkins! Kit Kats or homemade caramel apples. I love those little hershey bars, so tasty. My daughter and I make caramel filled chocolate frogs. It hard to stop eating them. I would have to say tootsie rolls, or m&m’s yum!! Kit Kats and butterfingers are my go to Halloween treats. Those little kit kat bars tempts me the most! I am so all about the Peanut butter cups. Snickers tempt me every time! Reese’s peanut butter cups are my downfall. Anything with chocolate! Thank you for the giveaway! I know candy corn has a bad rep but I really like it. i can eat sooo many peanut butter cups it is not even funny! Oh I have to say those Junior Mint little boxes are so tempting for me! Popcorn balls is, and has always been, my downfakkl. I can’t resist Reese’s peanut butter cups and York peppermint patties. Love candy period, but I’m really a sucker for chocolate! Reese’s cups are my downfall. Already loaded up on a couple of bags but they’ll be gone before Halloween. Reese’s Peanut Butter Cups are my favorite and hardest to stay away from! Chocolate and Caramel Apple Pops. Cameo Cookies are my favorite. Pretty much anything that involves peanut butter & chocolate combined. haha! Oh gosh, the Cadbury Scream Eggs! I love the little chocolate bars. Candy corn. Every year I have to have some! The Reese’s peanut butter treats that are pumpkin shaped. I love Halloween candy, but Butterfingers are my favorite. Anything with chocolate like Hershey bars, Butterfingers, Milky Way bars are all on my ‘I Want Them’ list, ha. Reeses’s peanut butter cups are my faves! Chocolate with Almonds or Peanut Butter tempt me the most! Chocolate. Just about all of it but especially Reece’s! All Minature and Full-Sized Candy Bars. I love them all…Snickers, Nestle Crunch, Babe Ruth and Reeses. I love caramel anything, especially the caramel apples and popcorn. I really like the individually wrapped Twizzlers. Thanks. These pretty orange kit kats tempt me every halloween. I love candy corn. I have no idea why, I just do. I really like Almond Joys and we typically only buy them at Halloween. I am always tempted by pumpkin cookies and reese peanut butter cups. Reese’s cups from my daughter’s Halloween bag…so tempting! I love the little packs of Peanut M&M’s. I am most tempted by the Reeses pumpkins! They are so yummy! Reeses Peanut Butter ANYTHING is my favourite. …anything chocolate – oh, those minis. Reese’s Peanut Butter Cups are my weakness. M & Ms. Love anything with chocolate. Sour lollies tempt me the most. I think my favorite is Mounds. Love that coconut. Anything vegan tempts me, but vegan chocolate (like Justin’s Dark Chocolate Peanut Butter Cups) tempt me the most. I like dark chocolates with almonds and also Reese’s cups. Man, chocolate every year. Like Kit Kats or Herseys with that crunchy stuff in the middle. Mmm. I like 3 Musketeers and Twix, best candies around! Mini 3 Musketeers! My absolute favorite! ALL OF IT~ Just fill up my bag with all the candy you have, and I am going to be a happy camper! I love Kit Kate and Peanut Butter Cups. Reeses tempts me the most. Snickers are my favorite, always buy an extra bag for me. I can’t resist a peanut butter cup. Reeses peanut butter cups are my temptation. Reeses Peanut Butter Cups tempt me the most. Reeses cups and kit kat bars tempt me. Mmmm caramel apples and Reeses peanut butter pumpkins! My favorite Halloween treat is miniature Hershey bars. Any treat size chocolate bar is tempting and dangerous. Because one is just not enough! Candy corn and Reese’s peanut butter cups are our favorites. I am tempted by the Hershey’s Kisses. I am tempted by the SIXLETS CANDY. Anything really but I love Take 5 bars! Anything red evelvet tempts me. I’ve got to say plain old Hersheys! Anything with chocolate. I love all the candy bar minatures. Anything chocolate and candy corn. Reese’s Peanut Butter Cups are so tempting! My favorite Halloween treats are peanut butter cups and peppermint patties. Reese’s Peanut Butter Cups always tempt me and are my weakness. I like Snickers the most. I love the candy Indian corn the most of all the Halloween treats.